After all, the soil feeds our plants, though its billions of living microbes in each spoonful. When you encourage a living, healthy soil, packed with nutrients, your plants will grow into a perfect package of goodness. Depleted and assaulted soils grow plants that we don’t need to eat. 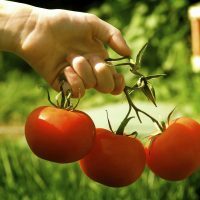 · Ensure your veggie patch has a pH of 6.5. Most living soil organisms are working at their peak to convert minerals to plant food at this pH. · Soil should be moist and fertile with plenty of organic matter and humus, the food and housing for our microbial life force. · And please do avoid planting treated seeds. Some seeds are treated with fungicides, which coat the seed pink, blue or white. Fungicide is added to deter ants and mice from eating the seed. · BUT, it liberates toxic fungicide into the soil, killing beneficial fungi. It also means we get traces of these with every mouthful. Fungicides are stored in human fat cells and wreak havoc in the brain. · Dry days, hot sun and starving the poor things, all help to create a plant that goes into survival mode pretty fast. 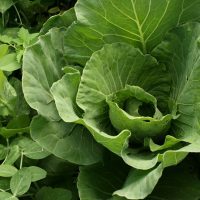 Growing veggies in tough conditions means your lettuce will bolt to seed, coriander too, carrots will be hard and tasteless and tomatoes will suffer from leaf diseases. · I aim to grow veggies with a foliar feed of fertiliser every 7-14 days, sprayed over the leaves. · I add seaweed solution such as my Baltic Kelp, to the foliar feeds. It strengthens plant cells and colonises the leaves with beneficial fungi to fight off fungal attack. It also adds dozens of micro nutrients and trace elements to the leaf and soil. · And importantly, water is a must, so try and keep the soil moist around your growing plants. 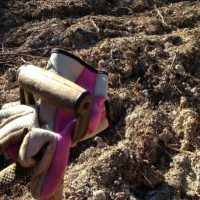 · I love cane mulch in the patch to keep soil moist and at an even temperature. · Leaving your corn an extra week does not mean you get a better cob of corn; waiting until the eggplant becomes the size of a football will not give you a tastier eggplant, and leaving a cabbage until it starts to break open is not harvesting your produce at its peak either. · I think small is better. Harvest your lettuce while the leaves are still shiny and luminous green., young and sweet. 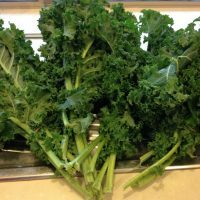 Leafy greens have more sugar when young, and they are also more tender. 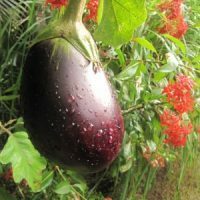 · Leaving eggplants until they are huge will give you tough skins and crunchy seeds. They are getting ready to produce the next generation. 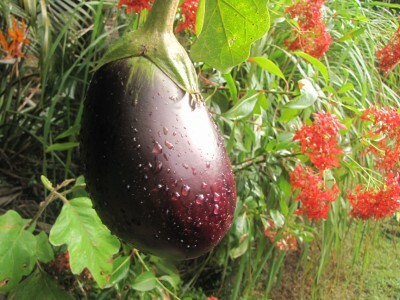 It will put you off eggplant forever. Harvest while still shiny and firm.